The Eastside Culture Crawl takes place this weekend & I’m thrilled to be part of it for the first time. Artists all over East Van open their studios for 3 days so the public can get a peek at their working life, view art, works in progress & often get great deals by purchasing directly from the artist. Galleries typically take a 50% commission on work sold, so a lot of artists count on this weekend to help offset their studio costs. Plus it’s just super fun! A gallery exhibition has a much more formal air than a studio visit, where even the best clean up job is just not going to hide those stashes of years worth of art supplies. 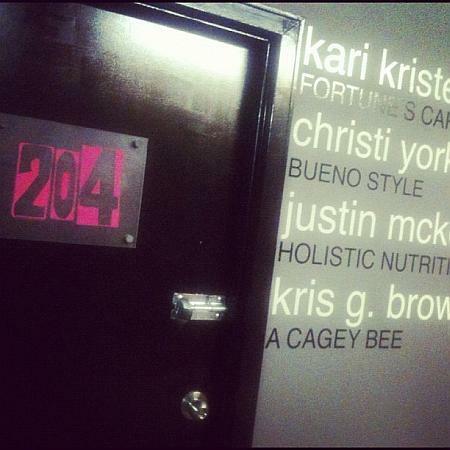 My studio is #204 – second floor, right at the top of the stairs – & is shared with 5 other artists. There’s another painter, a print maker, a shoe maker and a jeweler all participating in the Crawl. Come by & say hello! Check out the other artists in 1000 Parker Street. Previous postMake It Vancouver Starts on Thursday! Next postFirst Night of the Crawl!